Students gather outside the Shanghai Minhang District People's Court. Image: supplied. Introduced in 2016, this is the third year the subject has been led by Associate Professor Andrew Godwin and Senior Fellow Dr Hop Dang. 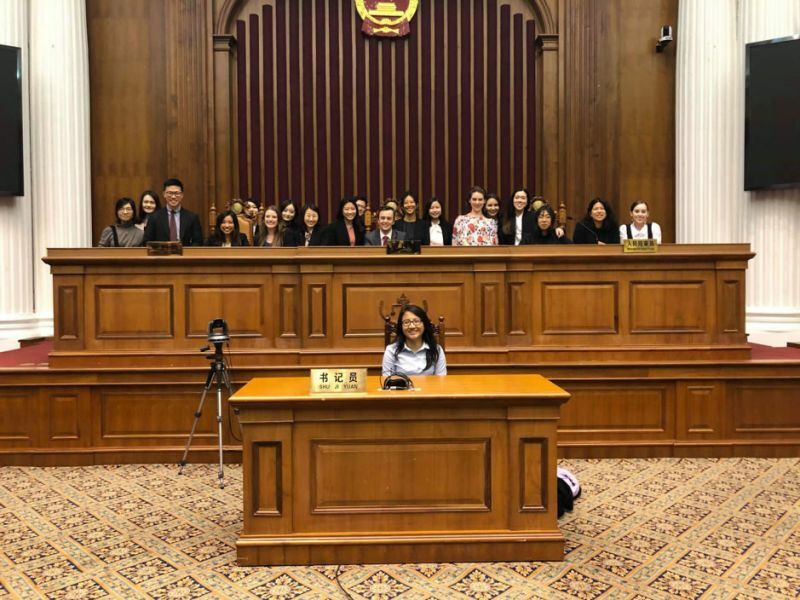 They lead a group of 24 Melbourne JD students in Shanghai and Hong Kong SAR to engage with people and organisations involved in cross-border legal practice. 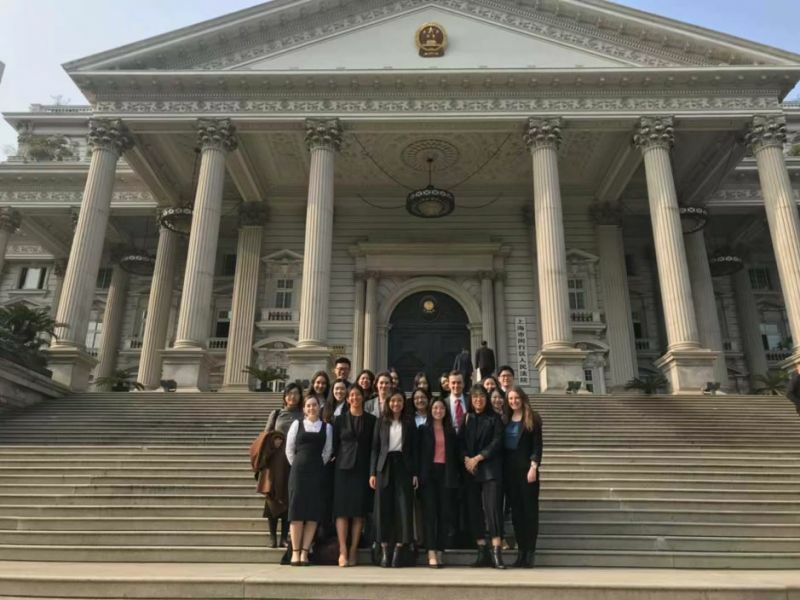 In the first week of the two-week intensive subject, students completed studies at Shanghai Jiao Tong University into mainland Chinese law, drawing comparisons between China’s unique civil law system and Australia’s common law system. Students also had insightful discussions with academics and practitioners, including representatives from Zhong Lun Law Firm and the Shanghai Minhang District People’s Court. Students gather inside the Shanghai Minhang District People's Court. Image: supplied. Each day students put their learning into practice, with intensive, simulated cross-border transaction negotiations led by Dr Dang. This week the focus has been on pre-contractual negotiations and contract drafting between public and private parties. “The subject has given me frank exposure to the way in which economic markets function, complemented by the practical experience of mitigating risks for clients in the context of cross-border project finance," first year JD student Boris Chong said. Students also had the opportunity to relax and explore China, including visits to Nanjing, the Bund, and Suzhou. The week ends with a farewell banquet hosted by Shanghai Jiao Tong University, before the students head to Hong Kong for intensive seminars to be held at Linklaters, Skadden Arps and Ashurst respectively.